Too cute to keep out in the cornfield, this scarecrow, with his little crow friend will liven up your fall decorating. 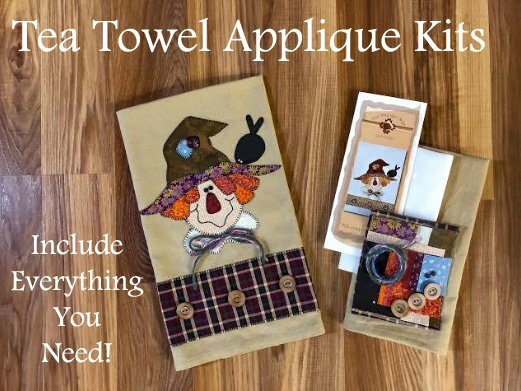 This kit includes all you need to make this tea towel. Steam-a-Seam, tea towel, buttons, embellishments, fabric and pattern.